Lincoln, IL realtor Ruth Louise Martin, 51, has been missing from her home since the morning of Wednesday, June 2, 1976. Blood and a mutilated spent .22 caliber bullet were found in the Martin garage. After being shot, Ruth was loaded into the trunk of her Pontiac Catalina, and then the perpetrator(s) drove off with it and her body. Two days later, the Catalina was found abandoned in the parking lot of the Bloomington, IL Holiday Inn, 30-miles north of Lincoln. The car’s right front tire was completely flat and a substantial amount of blood was found on the trunk mat, but Ruth remained missing. The car showed signs of having been driven off the beaten track, and it was later learned that Ruth had the right front tire filled on June 1st because of a slow leak. On June 8th, ’76, a family fishing in Kickapoo Creek Park (located a short distance across the highway from the Martin subdivision) found a partially burned, bloody T-shirt lying on a sandbar in the creek. Additional evidence collected with the white T-shirt linked to similar evidence inside the Martin Catalina in Bloomington. Someone had attempted to wipe up the blood on the Martin’s garage floor the day Ruth vanished, and it had been spread out over a larger area. The material used to soak up the blood was not found inside the Martin garage or the residence. Ruth disappeared on a weekday during morning hours, sometime around 9:15. The bloody T-shirt found in the secluded location of the park was more than likely used to wipe up the blood on the garage floor. The evidence encircling the T-shirt also supports that the person(s) who tried to destroy the shirt had been inside the Martin Catalina. Ruth Martin’s remains have never been found. She disappeared 6 days before she was to testify against defendant Russell Albin Smrekar, 21, in a Lincoln grocery store shoplifting case. Smrekar, a known thief from upstate Joliet, IL, had been expelled from Lincoln College on September 25, ’75, just prior to the October 1, ‘75 shoplifting. Ruth Martin was shopping at Kroger and returning to her vehicle when Smrekar ran by her with a package of stolen ribeyes and ditched them under her car. Produce employee Jay Alvin Fry had seen Smrekar lift the steaks and stick them under his jacket. After Fry and two store managers apprehended Smrekar in the parking lot, Ruth pulled out of her space and drove off, and Fry retrieved the meat package that had been under her car. Smrekar was arrested and charged with Theft Under $150, and Fry became a key witness in the case. 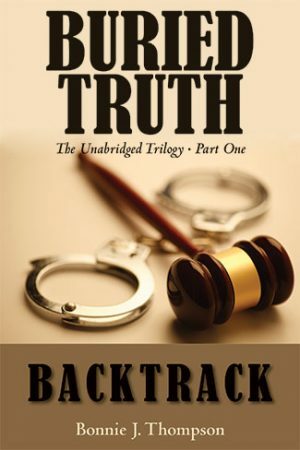 Ruth wasn’t called to testify in the first trial, which ended in a hung jury. She was subpoenaed for the second trial, but it was declared a mistrial before she testified. The third trial was scheduled for June 8, ’76, but Ruth had disappeared and foul play was suspected, so the trial was, once again, continued. Months later, on Oct. 9, ’76, Jay Fry and his 3-months-pregnant wife, Robin, both 24, were shot-gunned to death in their home just 9 days prior to a scheduled hearing on the Kroger case. My father, Logan County State’s Attorney Roger W. Thompson (1972-1980), alerted authorities the morning of Oct. 10th that Jay Fry and Ruth Martin were witnesses in the Kroger shoplifting case. On October 18, Smrekar and three of his friends were at the Logan County Courthouse for a hearing on the Kroger case, and Russell was arrested for the Fry double homicide. Following his arrest, information began to surface about another probable victim, Michael David Mansfield. Mansfield, 19, was a somewhat shy, non-confrontational Lincoln College honor student from Rolling Meadows, IL. On September 18, ’75, Smrekar stole 150 record albums and an expensive B.C. Rich guitar from the dorm room of two female LC students. That night, Smrekar showed up at Mansfield’s dorm room with an armload of LPs wanting to store them there temporarily. Mansfield reluctantly accommodated Smrekar, but after Smrekar left campus and hitchhiked to Joliet (with the guitar), Mansfield got scared and dumped the records under a stairwell near a trash chute in his dormitory. Someone saw him doing it and reported him to the student activities director. Mansfield denied involvement in the burglary and said he knew nothing about the stolen guitar, but he was arrested and charged with Theft By Possession. When Smrekar returned to campus from Joliet, he was also arrested for felony Theft Over $150. State’s Attorney Thompson and his assistant, John Foltz, offered to defer Mansfield’s charges if he would agree to turn state’s evidence and testify against Smrekar in the burglary case. Mansfield signed the Deferral of Prosecution Agreement on Dec. 18th, and then went home to spend the Christmas/New Year’s holidays with his family. On New Year’s Eve, at approximately 2 PM, Michael answered the phone at his parents’ house. He never told his mother who called, he just said he was going out for an hour or so and would be back. He put on his buckskin coat, walked out the front door, and left his wallet behind. He didn’t have a vehicle, so he was on foot. No one has seen him since that cold December day. He disappeared 6 days before his scheduled court hearing in the Lincoln College burglary case. The same day Mansfield disappeared, the burglary matter was continued to March (unbeknownst to Mansfield and Smrekar) because the two female Plaintiffs whose dorm room had been burgled were still on their European vacation. A few months later, in early March, a cunning cat burglar climbed a ladder to a second floor rear window of the Lincoln PD and stole the recovered B.C. Rich guitar out of the evidence room. Mansfield failed to appear in court for the March hearing, and the matter was continued and a warrant was issued for his arrest. It wasn’t until early September ’76 that Logan County learned that Mansfield was officially a missing person and his family hadn’t seen him since December 31st. The burglary case was then dismissed with leave to reinstate, and Smrekar was refunded $450. Smrekar was ultimately convicted for the Fry double homicide and sentenced to 100 to 300 years. As for Mansfield, there was very little evidence in his case, which has made his murder the toughest one to solve. Russell had two girlfriends, though, at the time of the disappearances of Mansfield and Martin, and they undoubtedly know more than they’ve ever admitted. Both women are still living, and one can’t seem to keep her stories straight. She also conceded that she “probably lied” to police in ’76 when I confronted her about her dramatic inconsistencies and contradictions. Follow-up interrogation is in order. The bloody T-shirt was the most important evidence collected in the Ruth Martin case. Prior to 2002, not many people knew much, or anything, about it. William A. Krueger and Thomas Maurer were the leading Lincoln PD detectives assigned to the Martin case in ‘76, and both men lied to me about the facts pertaining to the T-shirt. Maurer, who’s now unfortunately deceased, claimed in March of 2002 that he didn’t know anything about a T-shirt. That was a complete falsehood, for he wrote the report on that evidence and submitted the T-shirt to the Illinois State Crime Lab for testing. Krueger’s lies have been exceptionally profound — everything he’s claimed about the T-shirt directly opposes established documented facts. Krueger admitted in an email to me that he told my father during the time Dad was preparing for the Fry murder trial (and the Schneider triple murder trial), which would have been sometime after Oct. 9, ’76, that the T-shirt evidence “was never returned” by the state crime lab. That is an out-and-out LIE. The “Evidence Receipt” confirms the T-shirt was returned to the LPD on July 1, ’76, and Krueger is the one who signed off for its return. Interestingly, the T-shirt is the only item of evidence in the Martin case that’s MISSING from the Lincoln PD, without explanation. Neither Krueger nor the Lincoln PD will account for its disappearance — they are remaining silent. Back in ’76, crime lab analysis was unable to determine the exact blood type on the T-shirt, but with today’s technological advancements, DNA testing could yield important findings with respect to the blood and possible perspiration that existed in the cotton material. 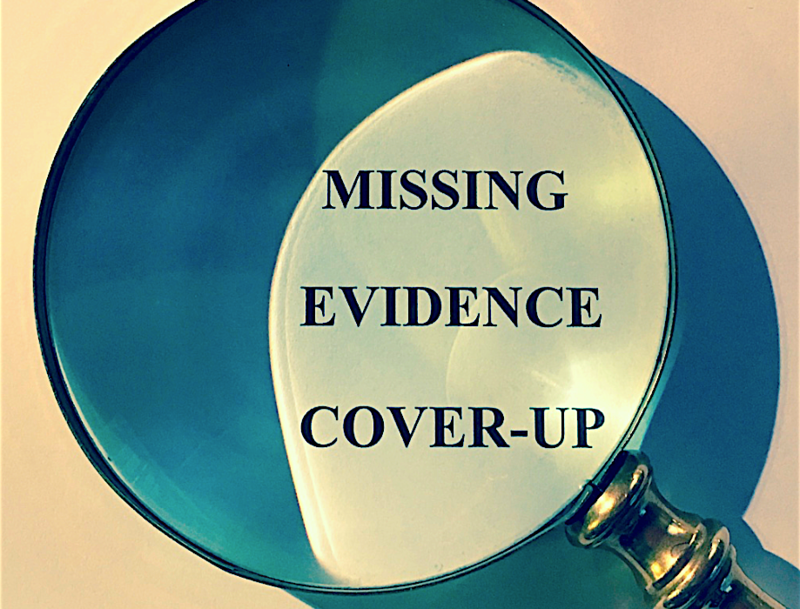 In light of Krueger’s egregious lies and the importance of the details relating to the T-shirt, that evidence most assuredly did not disappear by accident, and it also didn’t sprout legs and walk out of the LPD on its own. Krueger should be investigated and interrogated about the missing T-shirt and his blatant lies to former State’s Attorney Thompson and to me. His lies have demonstrated an intention to obstruct justice and cover-up critical information connected to evidence in an unsolved murder. A brutal triple homicide also occurred in the middle of all this. On Thursday, August 19, ’76, wealthy Lincoln farmer Lloyd Schneider, his wife, Phyllis, and their daughter, Terri, 17, were murdered in their home — stabbed a total of 90 TIMES. I knew the whole family, and the Schneider triple homicide is what set me on this path for truth and justice. Lincoln resident Michael Edward Drabing, 21, was arrested and convicted for single-handedly murdering the Schneiders. He claimed the killings were a premeditated “dry-run” for his continued plan of a revolution to exterminate the rich. I was 19 and a deputy circuit clerk at the Logan County courthouse in ’76 when Ruth Martin disappeared and the Schneider’s were so horrifically slain. I witnessed suspicious events and circumstances surrounding the Schneider murders that caused me to believe Drabing did not act alone. Nancy Schneider, the eldest of the three Schneider daughters, had a huge outdoor party at the Schneider farm one month prior to the stabbings. It was there that I witnessed Drabing and his two close friends, Pat Hanley and Rick Jones, get into three separate confrontations with Lloyd and Phyllis Schneider. The final confrontation was the most heated, and it was an enraged Pat Hanley who threatened to “get” and “kill” Lloyd Schneider. I never heard Drabing or Jones say a word, but they were right beside Hanley, in Hanley’s Chevy pickup, when the exchange took place. I was seated in my car nearby and witnessed what happened. Following the incident, Hanley tried to run me off the road and then he blocked a one-lane bridge with his truck, preventing me from crossing it. It was a hair-raising experience, and I told my father and others about what I witnessed before the murders occurred. 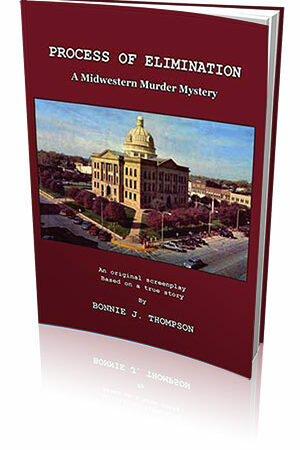 Rick Jones was Judge Thornton’s 21-year-old bailiff in the courthouse the spring and summer of ’76. Russell Smrekar appeared in Thornton’s court for his continued hearings on the two theft cases. 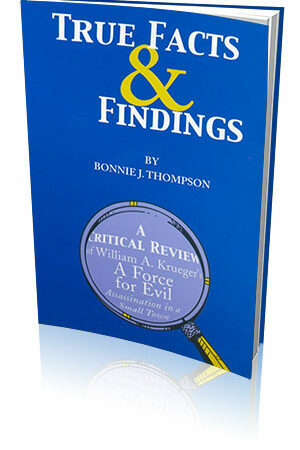 Smrekar and Drabing were both Manson followers, and the Schneider murders were considered a Manson copycat crime. I saw Rick Jones regularly while we were both employed at the courthouse. On Wednesday, August 18, ’76, the day before the Schneiders’ demise, Jones approached me in the back of the circuit clerk’s office and told me with a smirk on his face, “Somethin’ big and somethin’ bad’s gonna happen.” The only “big” and “bad” thing that happened in Lincoln immediately following his ominous prediction was the Schneider triple homicide. There were/are many anomalies in the Schneider case, too many to bring out in this writing, but I’ll mention a few. Drabing claimed he parked his car a mile to 2 miles from the Schneider residence and walked through fields to get to their house. During the struggle with the family in the confines of a hallway, left-handed Drabing sustained a deep, alleged self-inflicted slice wound on his outer right calf that “bled profusely.” The three victims were stabbed sometime between 11:15 PM and 11:30 PM. Prior to the stabbings of Lloyd, Phyllis and Terri, two witnesses escaped through a bedroom window: the youngest Schneider daughter, 16, and Terri Schneider’s boyfriend, 20. Drabing lost his unloaded J.C. Higgins revolver in the struggle with Lloyd. He searched for the gun but couldn’t find it. He also went outside to look for the two who escaped, but he couldn’t find them either. These searches took additional time. He also claimed he rested for a bit. When Drabing fled the bloodbath, he ran across the Schneider’s recently mowed, expansive front lawn toward the gravel road in front of their property. The direction he ran was in the opposite direction from where he claimed he parked his car. He dropped his KA-Bar knife because he was supposedly too tired to hold on to it; it was found three days after the crime a good arm’s-toss from the gravel road alongside the winding lane leading to the home. Somehow, Drabing managed to return to his mother’s house (where he also lived) within 10-15 minutes of the killings, by 11:40 PM. It was a 10-minute drive, alone, to the Drabing house from the Schneider’s. Those involved in the original investigation also concluded “there was just no way he could have gone that far that fast” in running from the Schneider’s to where he allegedly parked his car, to driving home and arriving there by 11:40 PM, if he’d acted alone. The biggest red flag was that no blood or trace evidence was found in Drabing’s Ford Torino despite the victims having been stabbed 90 times, despite Drabing’s “profusely bleeding” leg wound, and despite the dirt and blades of dead grass found on Drabing’s blood-soaked jeans. It was suspected by many that an accomplice had driven Drabing home, and the number one named suspect was Pat Hanley. The facts and evidence support that Drabing did not act alone. The greatest hindrance in ’76 was that forensic capabilities were not what they are today, but there are other bothersome things that I can’t explain. For example, in 2002, former Logan County State’s Attorney Tim Huyett requested the handwritten Schneider crime lab report from the state crime lab archives; found on the clothes and under the Schneider victims’ fingernails were foreign fibers and two different colored foreign hairs that did not belong to them or Drabing. That information was/is remarkably compelling, yet it was not spelled out in detail in the typewritten lab report, the only crime lab report that existed in my father’s old files in 2001/2002. This is perplexing and makes me wonder if my father was fully aware of all the evidence in the Schneider case. 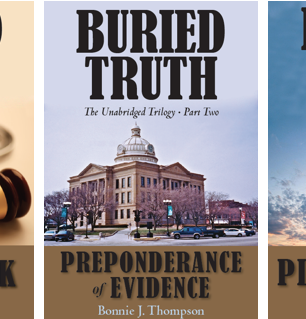 I could go on and on, and I do in my trilogy, “BURIED TRUTH,” the most comprehensive account and reveal of the facts concerning the 1976 Logan County murders. Drabing pled insanity, which prevented him from implicating others in the crime. Following his conviction, Hanley and Jones pursued law degrees and became attorneys. 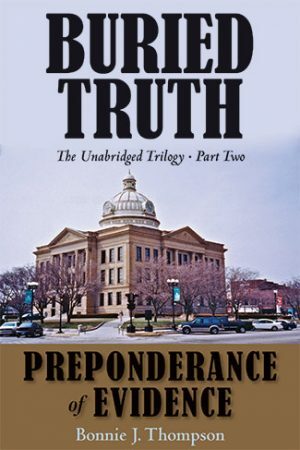 James Patrick Hanley was the Corporation Counsel for the Village of Skokie, IL (Cook County, Chicago) for some 13 years before he died in 2013, shortly before I released my trilogy. His alibi for the night of the Schneider murders was never fully corroborated. Jones is still living, and so is Drabing. Russell Smrekar died in October 2011. He reportedly made a “deathbed confession” to killing Mansfield and Martin before expiring from a “terminal illness” at Menard Penitentiary. The Lincoln PD said Smrekar admitted burying Martin under the new construction of I-55 (an area that can never be excavated), which was underway to replace Route 66 at the time of Ruth’s disappearance. He apparently didn’t say what he did with Mansfield. The Lincoln PD regards the Martin case as closed because Smrekar allegedly confessed. Russ was a sociopath and a pathological liar who enjoyed leading people, especially police, on wild goose chases. There’s no doubt he was involved in the murders of Mansfield and Martin, but the facts and evidence in those cases support that he used accomplices. Since Ruth’s remains have never been found, I have serious questions about the LPD’s haste to close the Martin case, particularly when the bloody T-shirt is mysteriously missing and detectives have lied about it. In 2007, Smrekar wrote to me and avowed, “Everybody likes a good ‘whodonnit,’ [sic] and reality is that they [the Mansfield and Martin cases] are and will remain unto eternity unsolved.” It’s hard for me to believe he suddenly got religion and confessed after making that proclamation. I was on Russell’s visitors list and had tentative plans to meet with him at Menard. I’d previously met with Drabing at Menard in August 2004, but after the life-threatening, suspicious circumstances that unfolded on that day, I was in no hurry to meet with Smrekar. I now regret having delayed meeting with him — it was an opportunity lost. Logan County authorities are ignoring the new information and evidence I’ve brought forth in the Martin and Schneider cases. 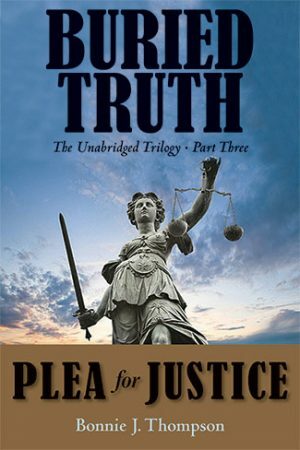 They are continuing to ignore the letters written by my father’s former assistants from ’76, John Foltz and Pat Chesley, advising that reinvestigation of the Martin and Schneider cases is warranted and “the right thing to do.” Additionally, they are resisting my calls for official reinvestigation and DNA testing of evidence, never tested. It seems obvious to me why they’re resisting — I opened a HUGE can of worms, and I think they’d prefer the public not know all the facts. THE MISSING BLOODY T-SHIRT IS THE SMOKING GUN. The facts and details relating to it are startling, and this monumental evidence seems to provide a probable link to the Schneider triple homicide. There is really no mistaking the link it provides. I believe the cover-up began with the Martin case and then escalated and deepened with the event of the Schneider murders. I’m asking the public and the media — those of you reading this — to take an interest in these unsolved/unresolved murders I’ve been reinvestigating for nearly 20 years. I’ve devoted much of my life and financial resources to uncovering the truth in the hope of achieving complete justice for the murdered victims and their families — some have never received justice of any kind. Clearly, these murders should be reinvestigated by agencies outside Logan County, for many obvious and warranted reasons. Please SIGN THE PETITION on this website calling for official reinvestigation and DNA testing of all applicable existing evidence in the Mansfield, Martin, and Schneider murder cases. It is the right thing to do. I was 10yrs old when those murders happened but I still remember them. My family found the bloody T-Shirt. I remember asking Mom or Dad if they had found anything out about the T-Shirt awhile after we found it and they told me the police had said it was a fisherman that had cut his hand and used the shirt to stop the bleeding and had nothing to do with the murders. Even at 10 yrs old I didn’t believe that. Hello Rick: In 2002 or 2003, I went to your parents’ home in Lincoln and spoke with your mother. She thought you might be able to recall something more about the day you, your sister and she went fishing in Kickapoo Creek Park. If your parents were told by police (the Lincoln PD) that the shirt belonged to a “fisherman that had cut his hand and used the shirt to stop the bleeding and had nothing to do with” the Ruth Martin murder (the only suspected murder at that time in Lincoln, IL), then they were provided entirely false information by a member of the LPD. Your mother had also recalled being told the shirt “was nothing” and had no connection to the murder of Ruth Martin. It’s interesting that former LPD Detective William Krueger had also told former Sgt. Ron Robbins, who’d collected the bloody T-shirt evidence from the park, that the T-shirt had “nothing to do with the Martin case.” Krueger was not truthful with Ron Robbins. The shirt was submitted to the state crime lab for analysis, and then thereafter it was returned to the LPD on July 1, ’76. At some point after that, it mysteriously disappeared from the LPD. Krueger and the LPD will not account for the T-shirt’s disappearance after the time “W. A. Krueger” signed off for its return (item of evidence #23) on the 7/1/76 Evidence Receipt. There’s a running track record now, dating as far back as June of 1976, of Krueger repeatedly providing those making inquiries about the T-shirt (blood evidence) with false information and blatant lies. Thank you so much for your comment, Rick, and for having contacted me about this. Your information has been most helpful and enlightening. You and your family discovered THE MOST IMPORTANT EVIDENCE collected in the Martin case – your find was monumental. I’m just sorry your folks were fed such a complete line of bull about an alleged “fisherman,” hook, line, and sinker. We all expect to be able to trust and believe what we’re told by those who are there to Protect and Serve us. You have no idea just HOW corrupt, Rick H.
I too was there at that party. They had a band play and had a beer truck out there. I remember Drabing and 2 others running up on the party trying to crash it and I thought they left afterwards. I think we left shortly after that. The Frys murder we heard the gunshots and the sirens because we lived right behind quick way.